Cassie has been an avid fermentress/ microbe & herb nerd for 5+ years, currently obsessing over medicinal herbal brews. She mostly is self-taught via books and lots of experimentation, though I have also attended a variety of classes and workshops focusing mostly on Korean Natural Farming (fermenting for the garden’s health) and herbalism. This is my passion and heart-work, I spend my time honing this art via trial, error, love, and intuition. Winter is a passionate yoga instructor, songstress, Moon Dancer, and keeper of sacred ways. Inspired by the magic of yoga which she first experienced in the jungle of Costa Rica, she traveled to India where she received her first 200 hours of training studying Ashtanga yoga. Shortly after, Winter received another 200 hours of training in Transformative Yoga in northern California. 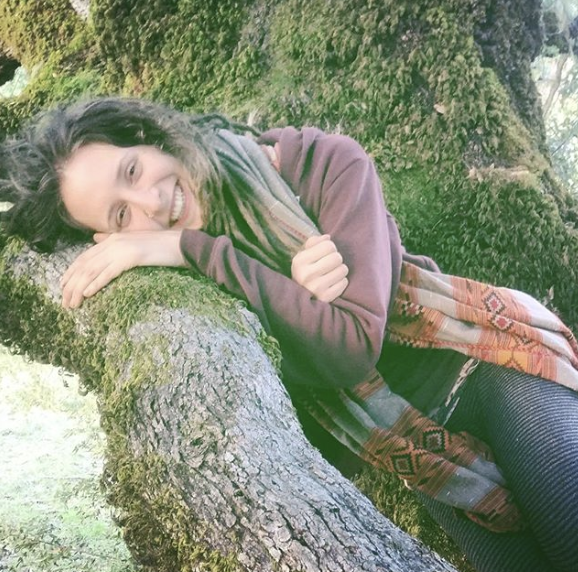 In 2016, Winter studied in an advanced course in Guatemala and received 300 hours of training in Mystical Yoga and Shamanism, expanding her knowledge in indigenous wisdom and practices. Winter is a three year Moon Dancer and pipe carrier from the Metztliyoliliztl Danza in Costa Rica. In 2019 she will complete her commitment, an initiation in Mexica tradition. Winter has spent the last four years in countries and communities around the globe where she received teachings from elders and experienced many ancient forms of healing. From this work she has found inspiration and guidance for holding space and using music as medicine. Inspired by earth-based traditional ways, Winter strives to weave this wisdom into her work, guiding students to become aware of our deep connection with the earth and of the sacred space within where we find our awakening source and an abundance of love and gratitude for this journey. I am a self and experience taught dancer and mover. For years now I have been working with shamanic journeying, energetic chanelling and light languages to connect me deeper to the Earths Heart. Drawing and transmuting energy up from the Heart Fire into my body and out into the world. My passion is to introduce and reconnect people to their bodies wisdom and inner medicine. Allowing the body room to move and process, creating space for harmony to evolve and transmute. I believe connecting to Earth medicine is a fundamental way of bridging the gap within ourselves and our Home.